By early 1923, the offensive capability of the IRA had been seriously eroded and when, in February 1923, Republican leader Liam Deasy was captured by Free State forces, he called on the republicans to end their campaign and reach an accommodation with the Free State. The State’s executions of Anti-Treaty prisoners, 34 of whom were shot in January 1923, also took its toll on the Republicans’ morale. In addition, the National Army’s operations in the field were slowly but steadily breaking up the remaining Republican concentrations. On 18 February, Anti-Treaty officer Dinny Lacey was killed and his column rounded up at the Glen of Aherlow in Tipperary. Lacey had been the head of the IRA’s 2nd Southern Division and his death crippled the Republican’s cause in the Tipperary/Waterford area. A meeting of the Anti-Treaty leadership on 26 February was told by their 1st Southern Division that, “in a short time we would not have a man left owing to the great number of arrests and casualties”. The Cork units reported they had suffered 29 killed and an unknown number captured in recent actions and, “if five men are arrested in each area, we are finished”. March and April 1923 saw this progressive dismemberment of the Republican forces continue with the capture and sometimes killing of guerrilla columns. Among the more well known of these incidents was the wiping out of an Anti-Treaty IRA column under Tim Lyons (known as “Aeroplane”) in a cave near Kerry Head on 18 April. Three anti-treaty IRA men and two National Army soldiers were killed in the siege of the cave and the remaining five Republicans were taken prisoner and later executed. A National Army report of 11 April stated, “Events of the last few days point to the beginning of the end as a far as the irregular campaign is concerned”. As the conflict petered out into a de facto victory for the pro-treaty side, de Valera asked the IRA leadership to call a ceasefire, but they refused. The Anti-Treaty IRA executive met on 26 March in county Tipperary to discuss the war’s future. Tom Barry proposed a motion to end the war, but it was defeated by 6 votes to 5. Éamon de Valera was allowed to attend, after some debate, but was given no voting rights. 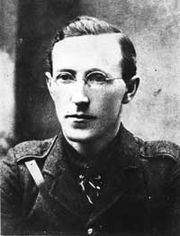 Liam Lynch, the intransigent Republican leader, was killed in a skirmish in the Knockmealdown mountains in County Tipperary on 10 April. The National Army had extracted information from Republican prisoners in Dublin that the IRA Executive was in the area and as well as killing Lynch, they also captured senior Anti-Treaty IRA officers Dan Breen, Todd Andrews, Seán Gaynor and Frank Barrett in the operation. It is often suggested that the death of Lynch allowed the more pragmatic Frank Aiken, who took over as IRA Chief of Staff, to call a halt to what seemed a futile struggle. Aiken’s accession to IRA leadership was followed on 30 April by the declaration of a ceasefire on behalf of the anti-treaty forces. On 24 May 1923, Aiken followed this with an order to IRA volunteers to dump arms rather than surrender them or continue a fight which they were incapable of winning. Thousands of Anti-Treaty IRA members (including Éamon de Valera on 15 August) were arrested by the Free State forces in the weeks and months after the end of the war, when they had dumped their arms and returned home. The Free State government had started peace negotiations in early May which broke down. Without a formal peace, holding 13,000 prisoners and worried that fighting could break out again at any time, it enacted the Emergency Powers Act on 2 July by a vote of 37 – 13. Although the cause of the Civil War was the treaty, as the war developed the Republicans sought to identify their actions with the traditional Republican cause of the “men of no property” and the result was that large Anglo-Irish landowners and some not very well-off former Protestant Loyalists were attacked. A total of 192 “stately homes” of the old landed class were destroyed by Republicans during the war. The stated reason for such attacks was that some landowners had become Free State senators. Among the prominent senators whose homes were attacked were: Palmerstown House near Naas which belonged to the Earl of Mayo, Moore Hall in Mayo (the house of Oliver St. John Gogarty, who also survived an assassination attempt), Horace Plunkett (who had helped to establish the rural co-operative schemes), and Senator Henry Guinness (which was unsuccessful). Also burned was Marlfield House in Clonmel, the home of Senator John Philip Bagwell with its extensive library of historical documents. Bagwell was kidnapped and held in the Dublin Mountains, but later released when reprisals were threatened. However, in addition to their allegiance to the Free State, there were also other factors behind Republican animosity towards the old landed class. Many, but not all of these people, had supported the Crown forces during the War of Independence. This support was often largely moral, but sometimes it took the form of actively assisting the British in the conflict. Such attacks should have ended with the Truce of 11 July 1921, but they continued after the truce and escalated during the Civil War. In July 1922 a Protestant orphanage near Clifden, County Galway, housing 32 children was burnt by the anti-treaty side. The children were subsequently transferred to England on board a British destroyer as the Free State government was unable to rescue them. The proselytising aspect of the Society for Irish Church Missions, which ran the institutions, had long been a source of local resentment. Controversy continues to this day about the extent of intimidation of Protestants at this time. Many left Ireland during and after the Civil War. Dr Andy Bielenberg of UCC considers that about 41,000 left Ireland between 1919 and 1923, who were not linked to the former British administration. He has found that a “high watermark” of this 41,000 left between 1921 and 1923. The new police force was not involved in the war, which meant that it was well-placed to develop into an unarmed and politically neutral police service after the war. The Criminal Investigation Department, or CID, a 350 strong, armed, plain-clothed Police Corps that had been established during the conflict for the purposes of counter-insurgency, was disbanded in October 1923, shortly after the conflict’s end. The fact that the Irish Civil War was fought between Irish Nationalist factions meant that the issue of Northern Ireland was ignored and Ireland was spared what could have been a far bloodier civil war based on ethnic and sectarian lines over the future of Ireland’s six north-eastern counties. In fact, because of the Irish Civil War, Northern Ireland was able to consolidate its existence and partition of Ireland was confirmed for the foreseeable future. The war confirmed the northern Unionists’ existing prejudices against the ethos of all shades of nationalism. Collins, up to the outbreak of the Civil War and possibly until his death, had been planning to launch a clandestine guerrilla campaign against the North and was funnelling arms to the northern units of the IRA to this end. This may have led to open hostilities between North and South had the Irish Civil War not broken out. In the event, it was only well after their defeat in the Civil War that anti-treaty Irish Republicans seriously considered whether to take armed action against British rule in Northern Ireland (the first serious suggestion to do this came in the late 1930s). The northern units of the IRA largely supported the Free State side in the Civil War because of Collins’s policies and over 500 of them joined the new Free State’s National Army. In 1927, Fianna Fáil members took the Oath of Allegiance and entered the Dáil, effectively recognising the legitimacy of the Free State. The Free State was already moving towards independence by this point. In 1931, under the Statute of Westminster, the British Parliament gave up its right to legislate for members of the British Commonwealth. When elected to power in 1932, Fianna Fáil under de Valera set about dismantling what they considered to be objectionable features of the treaty, abolishing the Oath of Allegiance, removing the power of the Office of Governor General (British representative in Ireland) and abolishing the Senate, which was dominated by former Unionists and pro-treaty Nationalists. In 1937, they passed a new constitution which made a President the head of state, did not mention any allegiance to the British monarch and which included a territorial claim to Northern Ireland. The following year Britain returned without conditions the seaports it had kept under the terms of the treaty. Finally in 1948, a coalition government, containing elements of both sides in the Civil War (pro-treaty Fine Gael and anti-treaty Clann na Poblachta) left the British Commonwealth and re-named the Free State the Republic of Ireland. Thus, by the 1950s, with the exception of the partition of Ireland, the issues over which the Civil War had been fought were largely settled. As with most civil wars, the internecine conflict left a bitter legacy, which continues to influence Irish politics to this day. The two largest political parties in the republic are still Fianna Fáil and Fine Gael, the descendants respectively of the anti-treaty and pro-treaty forces of 1922. Until the 1970s, almost all of Ireland’s prominent politicians were veterans of the Civil War, a fact which poisoned the relationship between Ireland’s two biggest parties. Examples of Civil War veterans include: Republicans Éamon de Valera, Frank Aiken, Todd Andrews, and Seán Lemass, Free State supporters W. T. Cosgrave, Richard Mulcahy and Kevin O’Higgins. Moreover, many of these men’s sons and daughters also became politicians, meaning that the personal wounds of the civil war were felt over three generations. In the 1930s after Fianna Fáil took power for the first time, it looked possible for a while that the Civil War might break out again between the IRA and the pro-Free State Blueshirts. Fortunately, this crisis was averted and by the 1950s, political violence was no longer prominent in politics in the Republic of Ireland. However, the breakaway IRA continued (and continues in various forms) to exist. It was not until 1948 that the IRA renounced military attacks on the forces of the southern Irish state – now the Republic of Ireland. After this point the organisation dedicated itself primarily to the end of British rule in Northern Ireland. Up until the 1980s the IRA Army Council still claimed to be the Provisional Government of the Irish Republic declared in 1918 and annulled by the Treaty of 1921. Some people, notably Michael McDowell, claim that this attitude, which dates from the Civil War, still underpins the politics of the Provisional Irish Republican Army.